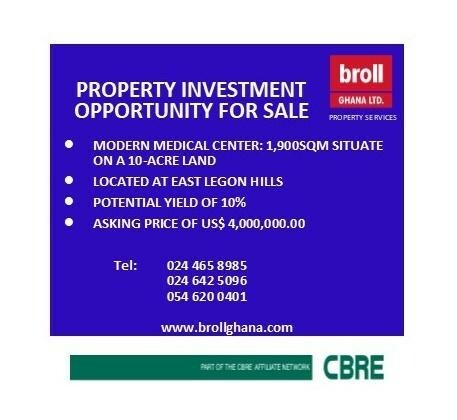 Sign up and receive Property Email Alerts of Medical Suites for sale in East Legon Hills, Accra. A Modern Medical Center with a 1900sqm building situate on a 10-acre land. This is an investment opportunity for up to 15-year lease with a potential yield of 10% per anum. The vacant land can be developed into either commercial or residential use. Sign-up and receive Property Email Alerts of Medical Suites for sale in East Legon Hills, Accra.